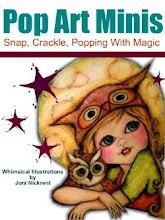 Pop Art Minis: An Oldie, But A Goodie! 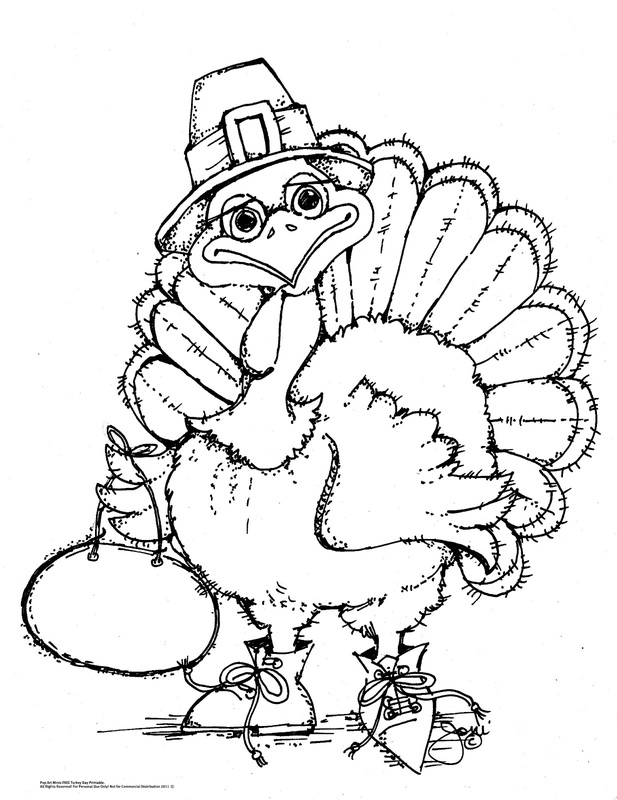 FREE Turkey Time Coloring Page! An Oldie, But A Goodie! 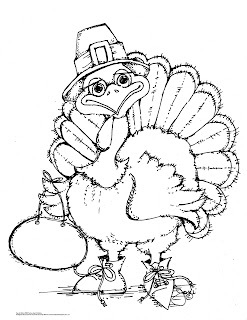 FREE Turkey Time Coloring Page! 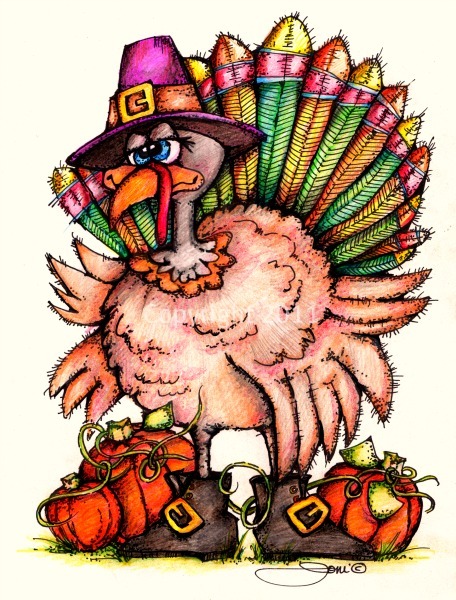 A FREE Turkey Time Printable! Directions for cooking....oops! I mean coloring! Print...should take approx. 2 minutes depending on printer temperature and speed. There's even a blank sign for you to add a Thanksgiving Day Message of What your Thankful for! Creatively Filling and ZERO Calories! Craft Candy - Craft Kits GIVEAWAY! Great prizes for 3 lucky winners! Please Note: FREE Printables are NOT to be used for resale or commercial distribution. Free downloads are marked as such. Please only download when marked as a FREE Printable. 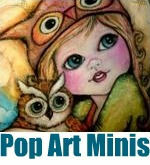 Pop Art Minis, copyright 2012. I like the attitude on the turkey! Your colors are exquisite. Thanks for the download my grandson will have fun coloring. Love it! Love your artwork. Thank you! I think if I tried to color your turkey I wouldn't do it justice because yours is so wonderful!Also so nice of you, free stuff is always awesome and I'm sure my kids would love him! 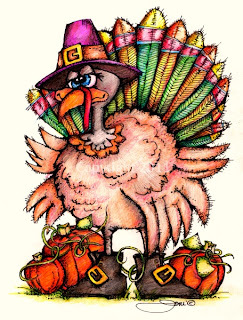 I just noticed it's two different turkeys! Love them both, but love the way you colored the top one! i remember that guy! i love the expression on his face! how nice of you! I'll print one off for the grandkids and thank you! Both turkeys are great! 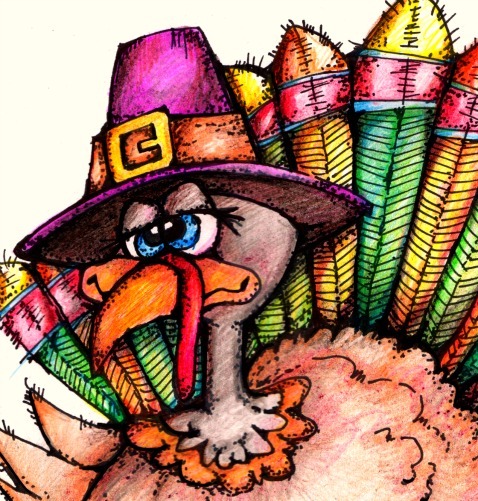 ah, such a charming turkey, thank you for sharing it with us! thanks for the cute colouring page! Gobble Gobble Gobble..... I can see him wobbling round the yard all of a quiver!! Tee Hee - what fun! Oh gosh, I just LOVE your turkey. Tee hee Quite adorable!! :) Love the punkins. oh how super sweet of you and what a beautiful turkey!!! These birdies are looking so funny :) they make me smile immediately. I think I will print them both and put them on the noticeboard in my office to improve the mood.